This post was made possible by McAfee through compensation. The actual contents and opinions are the sole views of the author, who maintains editorial independence, even when a post is sponsored. For more details, please read our disclaimer. 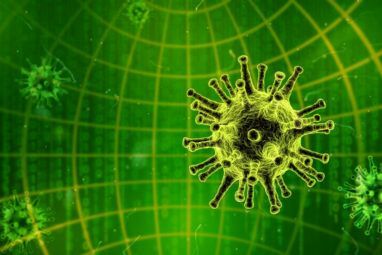 In today’s dangerous online world, old-school virus protection isn’t enough. Not only do you need to safeguard from all sorts of new threats, but you need to ensure that all your devices are secured. 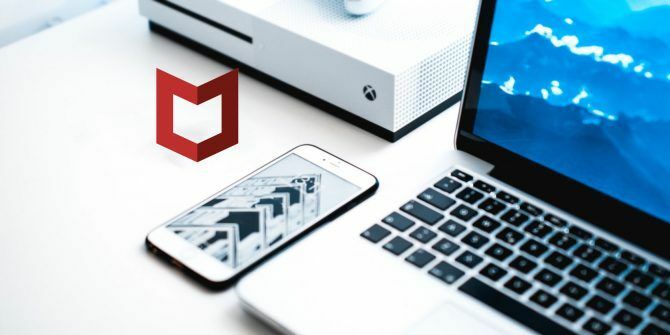 McAfee Total Protection is a powerful security suite that promises to shield your devices from threats, and it offers lots of other features to boot. Let’s take a look at it. Head to the McAfee Total Protection page to begin and click the Free Download button. The service works on Windows 7 through 10, macOS, Android, and iOS. Download the installer for a trial license. Run it, then let the program go through the setup process. It will perform several automated tasks while it does. This will probably take a few minutes, so sit tight. Once the installation is complete, you’re ready to start your McAfee Total Protection free trial. We’ll take a look at Windows to start; the Mac version is similar. Once you’ve installed the software, you should see a window asking for your email address. Enter it to enable automatic updates and to get an email with download links for your other devices. Next, click Get Started to run through the automated first-time setup. Let’s walk through the various tabs and see what they do. On this tab, you’ll see an overview of your current status. The left side shows Secure at a glance if everything is in order, and tells you what needs fixed if it isn’t. Run a scan lets you run a quick or full scan to check your PC for threats. True Key is McAfee’s password manager, available at no extra cost as part of your subscription. Application updates will check for updates to both Windows and installed programs so you can apply the latest security patches. Remove cookies and trackers scans your computer for cookies and other temporary files that can track you. On the next tab, you’ll of course find information related to your system’s protection. Lights on the left side let you know if anything important, such as real-time scanning or automatic updates, is disabled. You can click any of these entries to tweak them. Along the bottom, you’ll see the same Run a scan and Application updates tools as on the Home tab. There’s also an Updates option that lets you check for updates to the McAfee software. The History option provides a log of McAfee’s activities. This tab collects tools that protect your identity online. Use the buttons on the left to jump to the install page for the McAfee WebAdvisor browser extension, or adjust the anti-spam feature. On the bottom, you’ll find links to True Key and WebAdvisor. There’s also a Shredder function, which lets you permanently delete files so they can’t be recovered How to Securely Delete Files From Your HDD or SSD in Windows How to Securely Delete Files From Your HDD or SSD in Windows Did you know files never actually get deleted? That's why they can be recovered; by you or someone else. If this makes you feel uncomfortable, learn how to securely delete files. Read More . On this tab, you’ll find another link to the cookie removal utility. 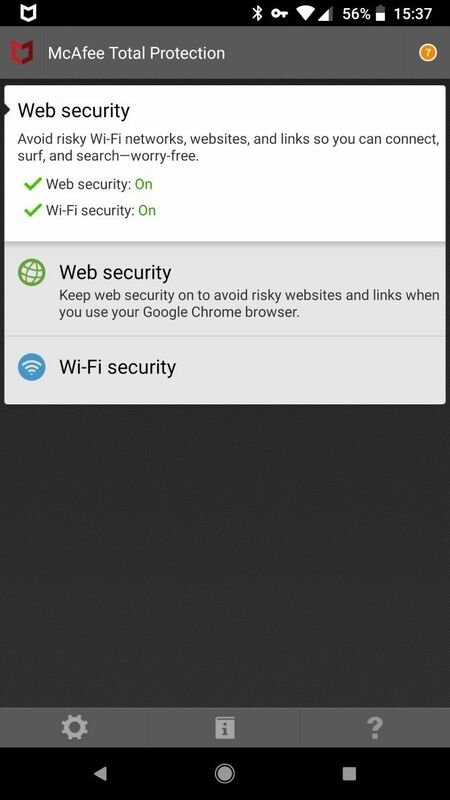 There’s also a Parental Controls feature you can enable to protect your family’s browsing. My network lets you see details about the various machines on your home network. Rounding out this tab is File Lock, which lets you lock up important files to keep them away from intruders. 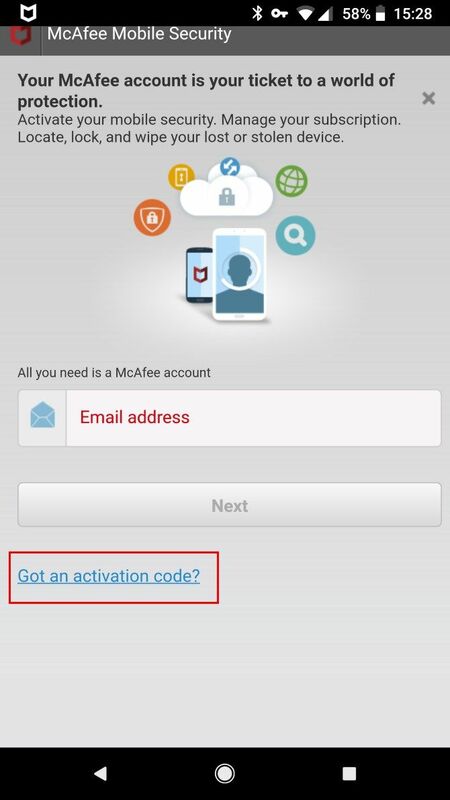 The final tab lets you access a few functions of your McAfee account. Click Buy on the left side to extend your trial to a full subscription. You can also click My Account to open your account page on the web. Help allows access to some guides about using the software as well as a contact option for McAfee support. The Bell collects recent notifications from the various functions of the app. News collects recent security-related stories. The Lightbulb allows you to take the guided tour again. The Settings gear lets you tweak various options. 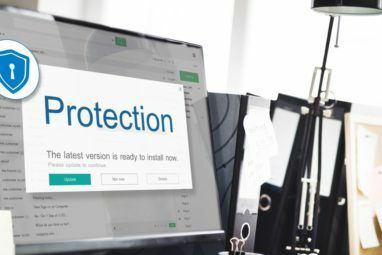 This menu lets you easily turn on or off various components of McAfee Total Protection, check the quarantine, and change a few program options. To install McAfee on your iPhone or Android phone, click the Protect Me link under Mobile protection in the email you received from McAfee when you signed up with your email address. If you didn’t get it, click Protect More Devices on the Home tab and you can enter your email there. Switch to the Mobile tab on the resulting page and take note of the Activation code, then install the app for Android or iOS. We’ll cover Android for now, but the iOS app is similar. Open the app once installed, then accept the privacy prompt and wait for the initial setup to complete. You’ll need to grant McAfee access to a few features on your device, such as accessibility. Then, you need to enter your activation code to get all the features of the app. Tap the three-dot Menu button in the upper-right corner, then choose Buy Now. Grant the app any additional permissions it needs, then tap Got an activation code? near the bottom of the page. Enter or paste the code in the box, and click Continue. 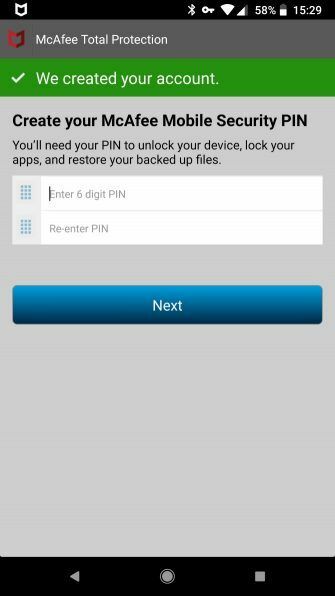 Create a PIN to protect your device. 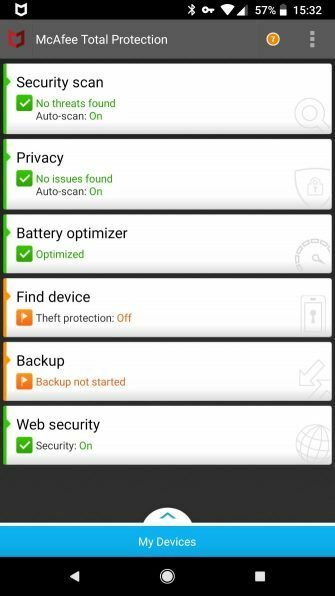 Security scan: Scan your device for threats and update the definitions. Privacy: Check which apps expose your personal information, lock apps behind your PIN, create profiles for different users, and block unwanted calls. Battery optimizer: The usual battery optimizer tools Why RAM Boosters and Task Killers Are Bad for Your Android Why RAM Boosters and Task Killers Are Bad for Your Android At first glance, RAM boosters and task killers sound incredibly useful, but a closer look shows that they could actually be harming your phone instead. Read More live here, including clearing memory and storage. 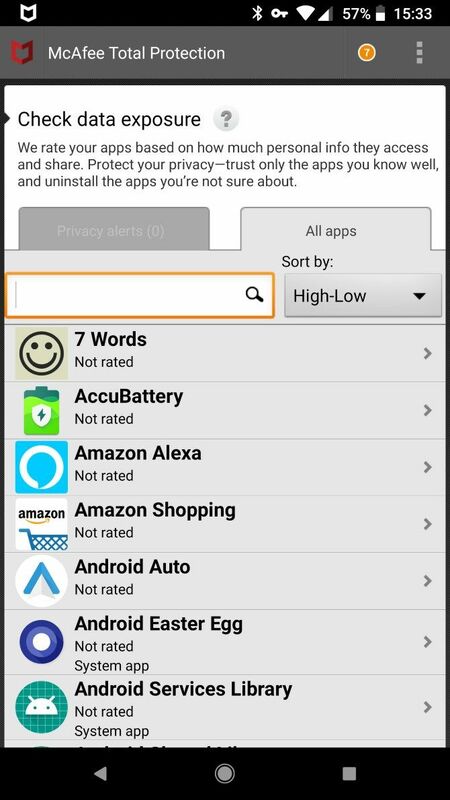 Find device: If you ever lose your device, use these features to locate, remotely lock, track, and wipe your phone. Backup: Backs up your information in case you lose it due to theft or a destroyed device. Web security: Offers settings to keep your browsing safe. Meanwhile, you can tap the three-dot Menu button in the top-right to manage Settings for any of these features. You’ll also find a Tutorial here that offers more information about what the app can do. McAfee Total Protection is available in one-device, five-device, and 10-device plans. At the time of writing, the price of each plan for your first year is $24.99, $39.99, and $29.99 per year, respectively (no that’s not a mistake, 10 devices is available at a discount at this time). Every Total Security subscription comes with McAfee’s 100% guarantee. As long as you keep your subscription set to auto-renew, a McAfee staff member will remove any viruses your computer picks up or you’ll get a full refund. McAfee’s Total Protection plan offers solid antivirus protection, plus lots of extras. If you have enough devices to use it on, being able to protect them all for one fair price is a good deal. 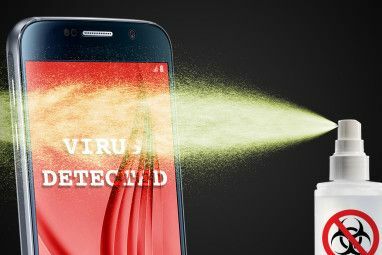 While the Android app’s interface is a little outdated, it does offer a great range of security features. You can start your free trial today to see if it’s right for you. Explore more about: Antivirus, McAfee. How about the footprint? I am surprised this wasn't mentioned. This is why I typically avoid the security suites.